Whether you are uptown, top of town, bottom of town or center town Downtown Bingo is the all-around online gaming site that reaches every kind of town. It is a global wonder that reaches from coast to coast including US customers that are warmly welcomed. Whether your location is rural, in the heart of the city or out on the farm one thing is for sure the Downtown Bingo takes you to the edge of excitement with just a click of the finger. It’s an exciting place to be especially for the American player who have limited online bingo acceptance. The landing page is features the city life in a setting that is appropriately fitting with tall buildings against white and blue fluffy clouds overhead representing the sky is the limit for awesome fulfillment. Vista Gaming software has an easy no download required platform with a smorgasbord of gaming options that extend beyond Bingo. Downtown Bingo is fully operational by a license granted under Cyprus. Your gaming world opens up to the excitement of big city living that offers all the amenities a player could want. 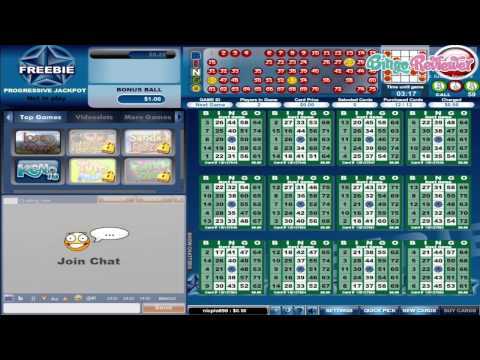 There are two variations of bingo including UK 90 ball and US 75 ball bingo options. The Bingo rooms are plentiful offering Progressive Jackpots that reach impressive cash prizes. The Free Bingo room is open daily and players can win without spending a penny. There are three Jackpot Video Slots including Fairy Nights, Greek Myths and Winds of Arabia. The Video Slots are different and stand out from the rest especially for the three line variations to choose from for each machine that includes 9, 15 and 21 lines. Video Poker fans will appreciate the variety of games with 1, 4 and 10 hands. Favorites like Jacks or Better, Bonus Poker, Double Bonus, Joker Poker and more. Arcade and Casino Table games complete the platform of products. You’re invited to try out the site absolutely free with a No Deposit Bonus offer. Take advantage of the freebie and experience the games at no risk. When you ready to make a real money deposit there is a Bonus on your first three transactions including Reload Bonuses. Creative promotions are readily available with a robust selection of offers. Players are put in the mood with specials that coincide with holidays and current events. Weekly Casino Tournaments heat up with spinning excitement for competitive fun offering prizes to top players. Bingo Tourneys are every Saturday with big Guaranteed Jackpots. Downtown Bingo is a US players dream come true who are warmly welcomed to be a part of the community. The promotional offers are never stale and are updated weekly including exclusive offers that are sheer entertainment. We rate Downtown Bingo with 4.25 Pink Hearts. I love the theme at this site! Who doesn’t love downtown? The layout is decorated like a bright and sunny day and reminds me of a bright, sunny day in the big city. All new players at the site will receive a no deposit bonus of $5 upon registration. I wasn’t too impressed with this welcome offer, but after playing their games for a while, they definitely grew on me. When it comes to gaming they offer the standard 75 and 90 ball bingo. They have a huge selection of Slots, with up to 21 pay lines. They have classic, video, and jackpot video slots all at your fingertips. Players can also look forward to outstanding bonus features that include free spins and bonus rounds. Just a few of the slots offered include Sands of Egypt, Havana Nights, Rock Star and Blazing 7s, with Sands of Egypt being my favorite. Video poker and arcade games are up for grabs, along with standard table games including roulette, casino war, blackjack, baccarat and more. This has got to be one of the better looking sites I have came across, and I just love the clean and easy to navigate layout. You won't have any problems to find any information about the registration process, bonuses and promotions, as the terms and conditions are user friendly, and that is more than I can say about a host of other sites I have played on. I was expecting just a little bit more on the Bingo front, as they offer only a regular 75 ball and 90 ball bingo. At least, there are seven rooms in total, which is not bad, so I don't think anyone will get bored soon. Just in case, there's a load of other games in there, starting from the inevitable Slots, Arcade games, Video Poker and all the regular Table Games. So far, I have played only Bingo and Slots, and had a nice roll there, and I expect the first payment to reach my account in a few days. Includes 10 free spins on Wicked. There is no wagering requirement in their standard t&c, for more information please contact customer support.